commented on "JARO can custom make soft fabric banquettes to meet your requirements. They can have diamond buttons, soft buttons, no buttons, ..."
JARO's soft fabric banquette seats suitable for commercial or domestic venues. 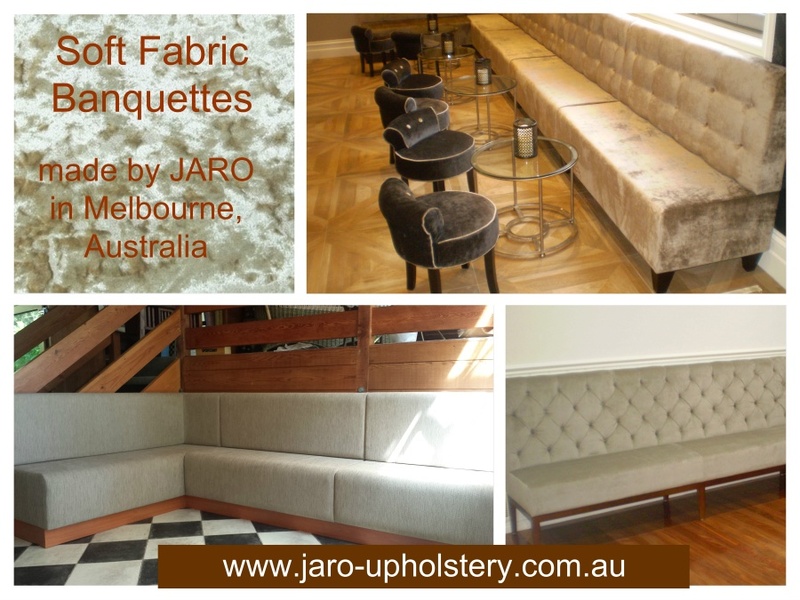 JARO can custom make soft fabric banquettes to meet your requirements. They can have diamond buttons, soft buttons, no buttons, blind buttons, panelling or stitched detail. Velvet fabrics through to heavy textured are available in an enormous range of colours. Let JARO help you to design you special style!